Property 12: “Living The Dream” - Private Log Cabin w/ Mountain Views Has It All! Property 14: Pet friendly..handicap access..easy winter entry..
Property 26: Sweet Serenity - an authentic log cabin, with a modern twist. 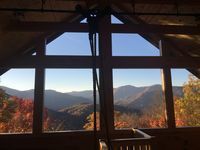 Property 28: Thunderstruck Ridge Cabin-Million Dollar Views at Great Rates! 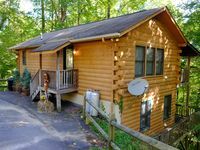 Property 30: A cozy cabin right in the heart of Maggie Valley! Property 35: Lose yourself in the clouds! Newly renovated couples get away.